April 2015 – Jack Campbell Jr.
My latest Confabulator Cafe short story “Copy Rights” is available. We were given the prompt “three steps to world peace.” For some reason, I thought of Ron Artest jumping in to the stands and punching a guy. Artest really has nothing to do with the story, but that’s how my writing goes sometimes. In “Copy Rights,” a genius slacker invents human cloning technology in order to get out of his shifts at an insurance company call center. Unfortunately, his copy isn’t happy with the arrangement. Also, if you are heading to ConQuest next month in Kansas City, be sure to keep an eye out for me. I’ll be serving on a couple of panels and will be having a joint reading with fellow Bottle Cap Publishing author R. L. Naquin. Brandon Sanderson and some guy name George R. R. Martin will be there as guests of honor. It’s always a good time. Thank you to everyone who has bought All Manner of Dark Things, so far. It has been a lot of fun. I will be having a book signing at Hastings in Lawrence, KS on May 30th. Stop by if you are in the area. Several months ago, I sold “A Burial” to Page and Spine. When I decided to use the story in my collection, the editor, N.K. Wagner not only agreed to provide a blurb for the back of the book, but also said she would hold off on publishing the story so that its publication would coincide with the release of the book. 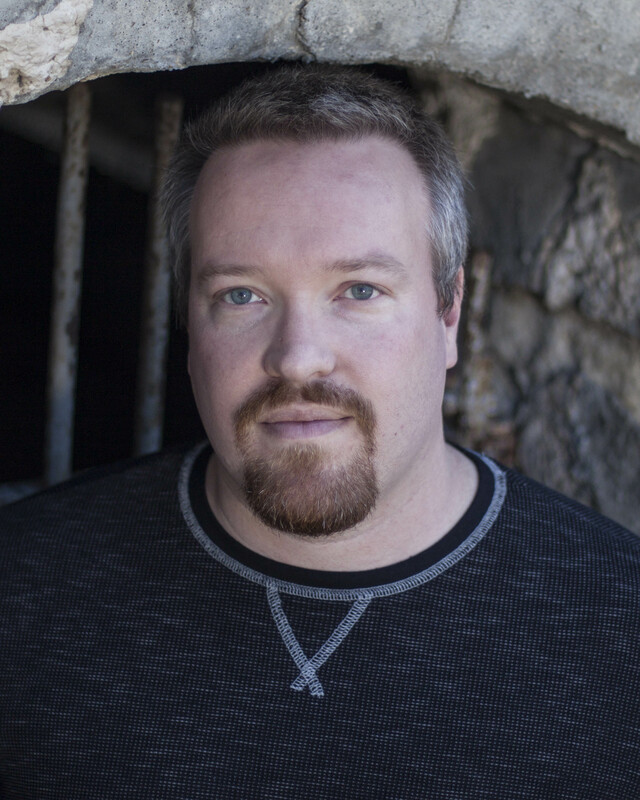 “A Burial” is the first story in the All Manner of Dark Things, and I think it provides a good example of the type of literary fiction that I write. If you are looking for a good sample before deciding whether or not to buy the book, it is free and available now. They deserve your support, regardless. They’ve been extremely cooperative and supportive during the entire submission and publication process. I’ve also set up an online store through Square. There is a link to it at the top of the page. 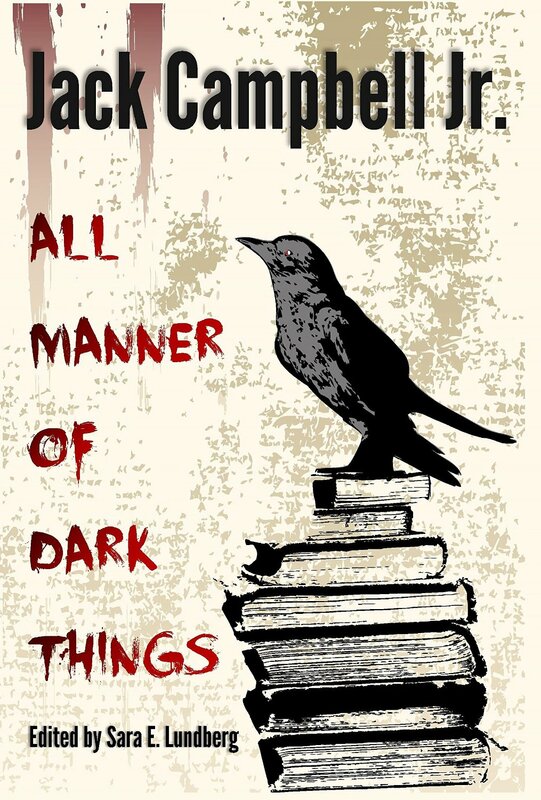 Living in Kansas, but being from Iowa, I have had a few people who wanted to buy print copies of All Manner of Dark Things but that wanted them signed. That’s awfully hard to do if they are purchased from Amazon. It’s the same system that I will be using to sell copies at conventions and appearances. The price is essentially the same as Amazon, but I will sign the book before I personally ship it out to you.The turn around is a bit faster than Amazon, because I have copies on hand and will generally get them sent out the next day. I appreciate the positive response that I have received from everyone. I can’t tell you how much the support means to me. If you like the book, remember to review it on Amazon, Goodreads, or wherever you regularly do such things. Additionally, print copies of Rejected from ACA Books, which contains my story “A Simple Device,” are now available. You can find them on Amazon. Many of the early reviews specifically mention “A Simple Device” as one of the best stories in the book. Thanks for reading. I should have more news shortly. It’s April 7th, and that means it is the official release of my horror collection All Manner of Dark Things: Collected Bits and Pieces. If you pre-ordered the e-book, it should already be heading to your Kindle. If you haven’t bought it, yet, here are the details. Twenty-nine pieces containing a wide variety of horror: gory monsters, humor pieces, emotionally-brutal literary works, poetry, vampires, werewolves, cannibal hordes, ghosts, serial killers, and all manner of dark things. Some of the pieces appeared in a variety of literary magazines and anthologies. Some are original to the anthology. They encompass a sampling of my entire writing career. The e-book is a part of Kindle Select, which means that if you have Prime, you can borrow it from the lending library. If you have Kindle Unlimited, it is available for free in that program. The e-book is priced at $2.99, but it is a part of the Kindle Matchbook program. That means that if you buy the print edition from Amazon, priced at $9.99, you can get the e-book for $0.99. You can have access to the book anywhere, at any time. I am extremely proud of this book and the amount of work that went in to it. Check it out. If you read it, review it on Amazon and Goodreads. I would really appreciate it. To start the release off right, here’s the book trailer to get you in the mood. Let’s do this! There will be more news soon. I have a couple of special things planned.